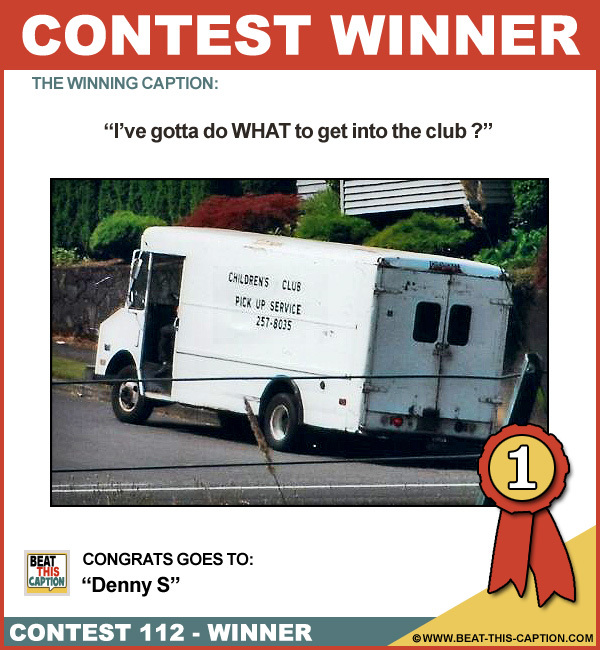 September – 2012 – Caption Contest Funny Clever Witty Enter Today! Hurry up Ma, Dad’s waking up in the back seat! September 30th – October 6th 2012. 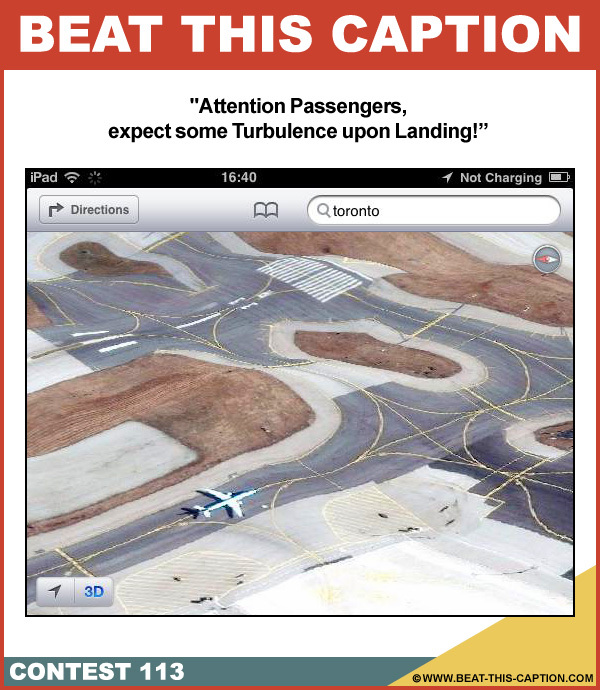 Attention Passengers,expect some Turbulence upon Landing! 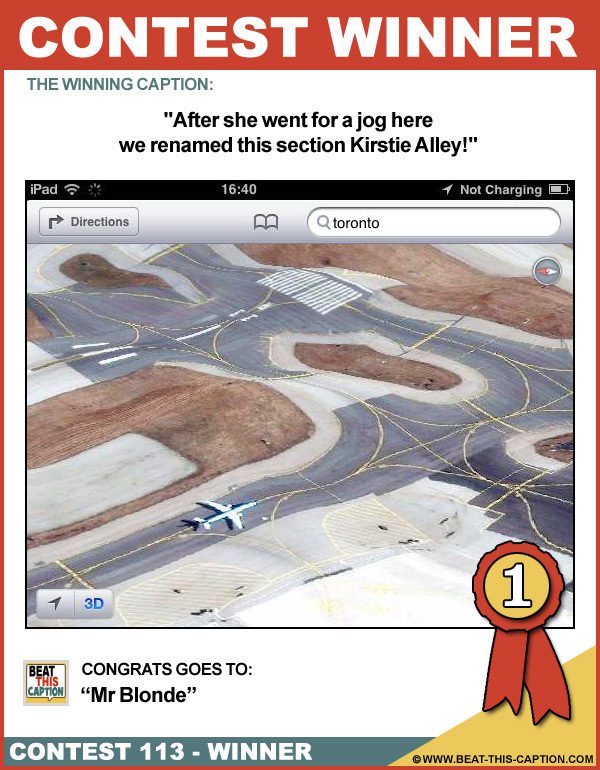 After she went for a jog here we renamed this section Kirstie Alley! Made me Laugh! 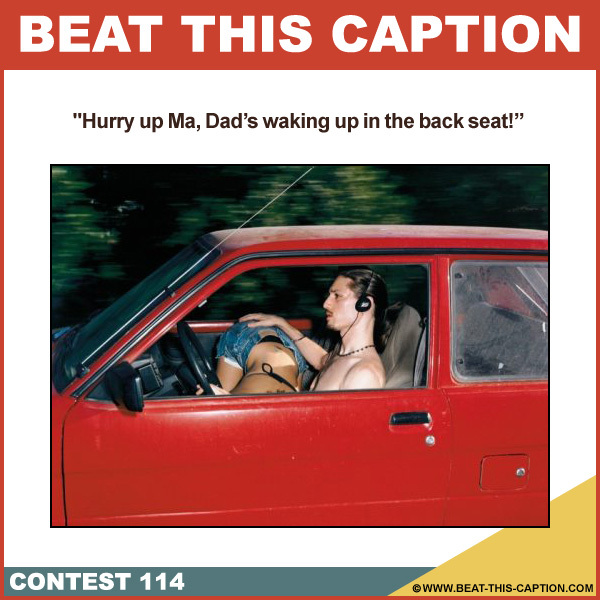 Funny Caption! Boom Boom Boom! :) You WIN! Isn’t that ET painted on the tarmac? Damn, these Disney earthquake rides are getting way too realistic! September 23rd – September 29th 2012. 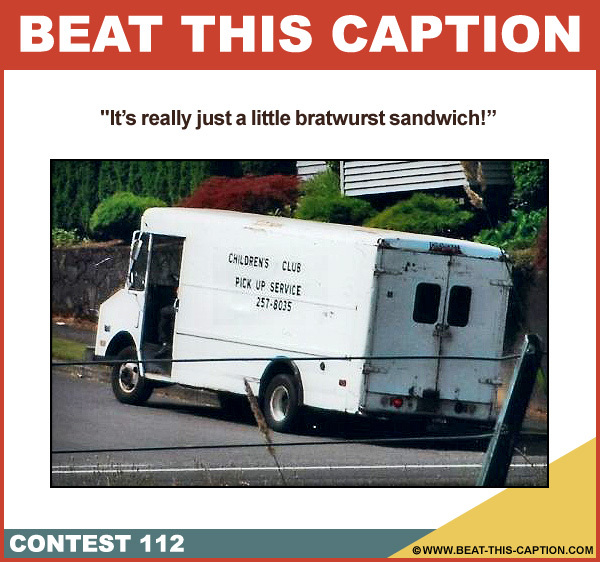 It’s really just a little bratwurst sandwich! Bully me… I need to make some money FAST! Great Caption! :) You WIN! They’ll pick them up but won’t bring them back! The rules are: no hamsters, fake spiders or whoopi cushions allowed! Yeah, I collect them to play in our string quartet – I like to fiddle with kids! September 16th – September 22nd 2012.